United States of Ice Cream #Infographic ~ Visualistan '+g+"
With summer in full swing, we wanted to take a closer look at the true harbinger of the season: Ice Cream. 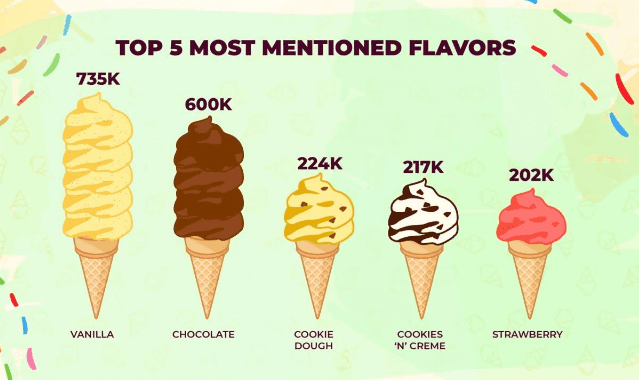 We analyzed social sentiment of over 36 million social posts to discover the flavors of ice cream the US likes best. At first glance you may expect no flavors could measure up against Vanilla or Chocolate – but you’d be wrong! In fact, over 70% of states’ favorite flavor was something other than these two basic varieties.